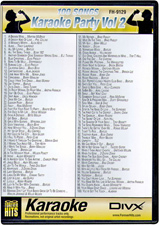 Turn your DIVX player into a Karaoke JukeBox with this DVD 100-Song DivX Disc! Turn your DIVX player into a Karaoke JukeBox with this DVD 100-Song DivX Disc! 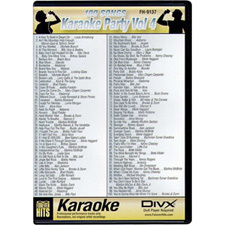 Turn your DIVX player into a Karaoke JukeBox with this DVD 100-Song DivX Disc!